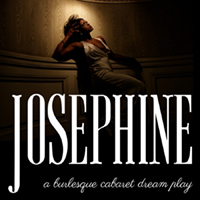 Following a critically-acclaimed off-Broadway run, Josephine returns with an expanded version featuring new songs. A biographical musical about the iconic Josephine Baker, the first African-American international superstar and one of the most remarkable figures of the 20th century. This show was the sensation of 2017 and it’s turning out to be the must-see of this year as well. So what do I possibly have to say about this show? Nothing I can say would persuade or dissuade you from seeing this show, so I’ll keep it very brief. With exceptional acting, superb singing, an engaging topic, spot-on delivery and a charismatic star, you have all the components to build the prototypical show—and here it is. This is a professional-calibre show that has won over every audience to date—and it will continue to do so. Buy your tickets early.